The very first traveling exhibition in Osaka! 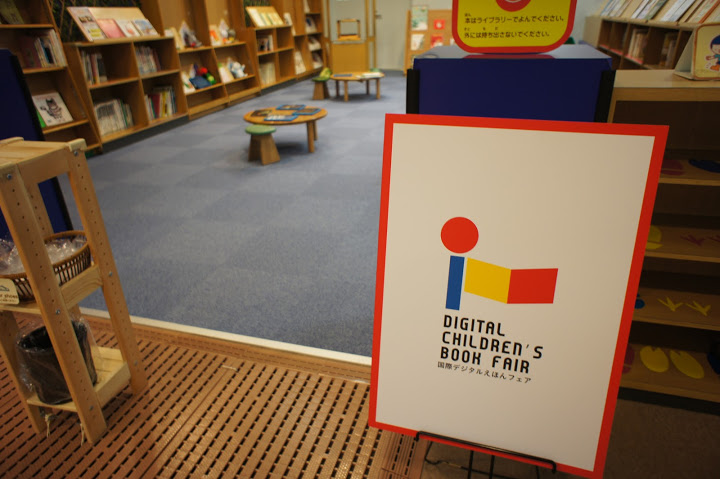 The exhibition was held at a very popular children’s museum Kids Plaza Osaka. Kids Plaza Osaka’s diverse exhibitions, events and workshops allow children to discover their world of adventure. 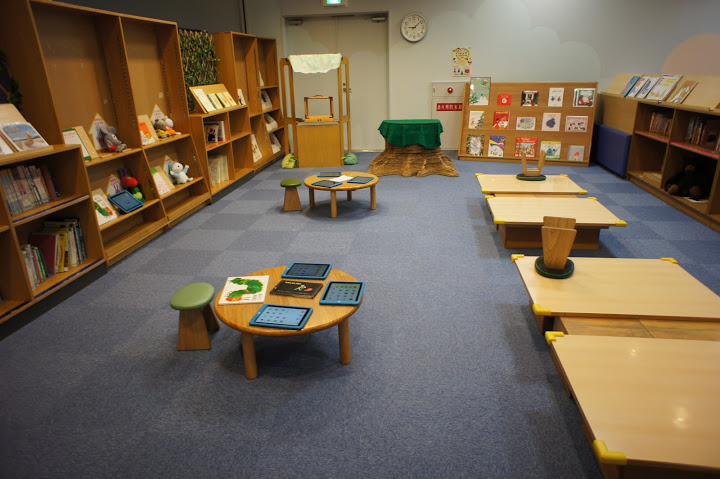 The traveling exhibition was held at the “library space” of the museum. 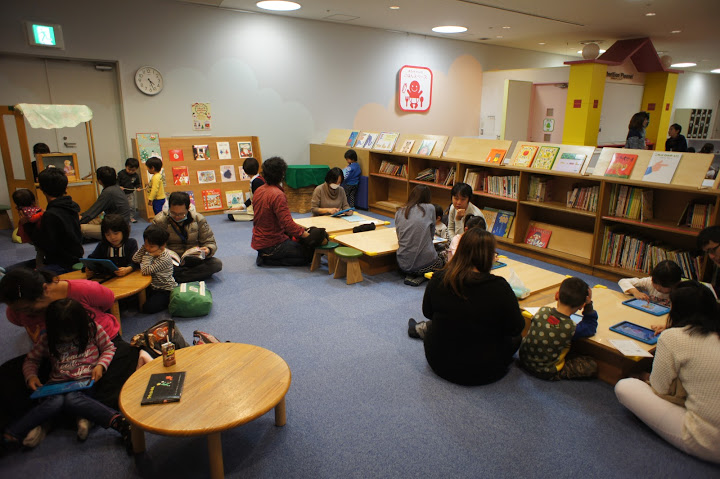 It is a very relaxed area where children can take off their shoes and enjoy reading their favorite picture books. 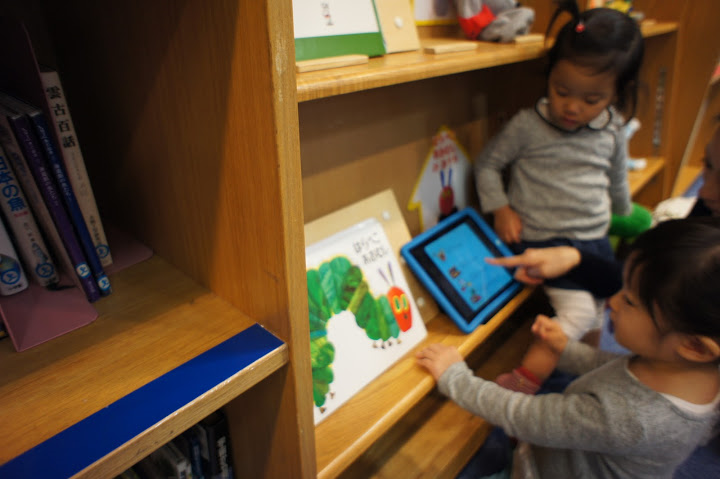 How will the children react if you exhibit digital children’s books with paper picture books? 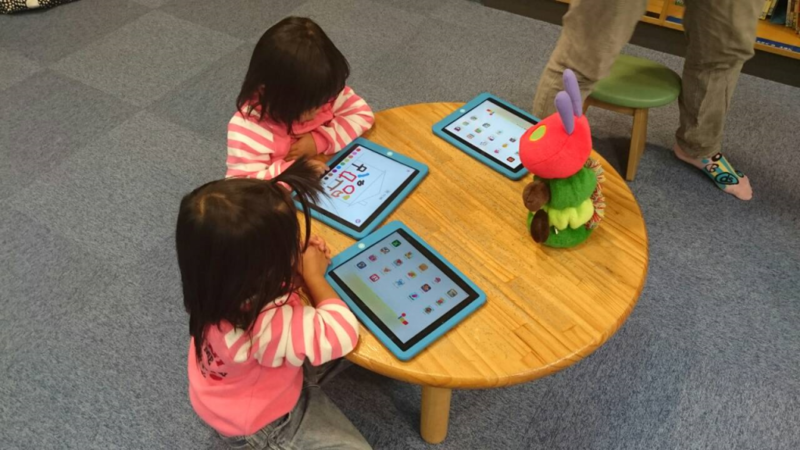 There were siblings who were fascinated by the digital books. 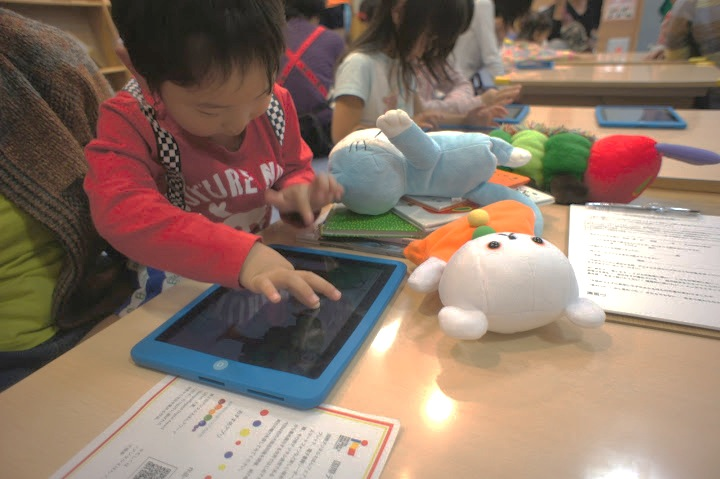 One child brought a stuffed cat from the shelf after playing with the digital storybook of a cat. There were children who played with the digital storybooks and the picture book one after the other. Many children stayed at the exhibition for a very long time. The two day event was very popular, with children and parents waiting in lines to experience this area. It seemed like both paper picture books and digital children’s books captured children’s heart. We will be planning to hold travelling exhibitions all around Japan. We may even visit your home town! Copyright © 2013-2019 Digital Children's Book Fair.